Scientific and technical advances continue to further our understanding of how genetic alterations affect human health and the development of disease. Integrating genomic findings in the delivery of patient care represents an exciting and evolving area of medicine. The capacity to interpret and leverage this new source of information and to do so in a broad and high-throughput manner, via clinical information systems, remains a key challenge. 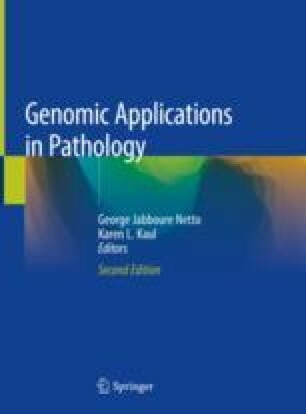 In this chapter, we focus on common areas that influence effective use and development of clinical information systems to support the integration of genomic data in healthcare. Centers for Medicare & Medicaid Services. Clinical laboratory improvement amendments. Retrieved from http://www.cms.gov; 2014. GenoLogics—A LIMS for the Next-Gen Omics lab. Retrieved from http://www.genologics.com; 2014. Sapio Sciences—The most configurable and flexible LIMS software available. Retrieved from http://www.sapiosciences.com; 2014. College of American Pathologists Molecular Pathology Checklist. Retrieved from http://www.cap.org; 2014. IRB Guidebook: Chapter V Biomedical and behavioral research: an overview. Retrieved from http://www.hhs.gov; 2014. Lindsay J, et al. MatchMiner: An open source computational platform for real-time matching of cancer patients to precision medicine clinical trials using genomic and clinical criteria. bioRxiv. 2017;199489 https://doi.org/10.1101/199489.